This is an excerpt of author Wendy Call’s Q&A in Everyday Book Marketing, in which she talks about creating a budget, doing a book tour, and how to put yourself out there as an author. For more book promo information, and to read Wendy’s complete Q&A, check out Everyday Book Marketing. 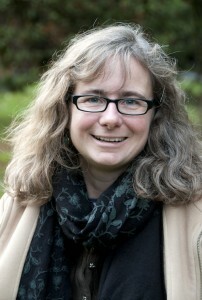 Wendy Call is a writer, editor, translator, and teacher of creative writing. Her narrative nonfiction book, No Word for Welcome, won Grub Street’s 2011 National Book Prize for Nonfiction and the 2012 International Book Award for Best History/Political Book. She is co-editor, with Mark Kramer, of Telling True Stories, and her nonfiction, translations (from Spanish) of poetry and fiction, and photography have appeared in more than fifty magazines and literary journals. Q: Tell us about how your book came into the world. A: My book began as a series of twenty essays and narrative nonfiction pieces that I wrote while living and working in southern Mexico. I had received a two-year fellowship from the Institute of Current World Affairs, and they published my writing. I returned to the U.S. in the summer of 2002 and began to put together a book proposal, to seek an agent, and to learn the deep difference between a collection of five-thousand-word narratives and a single ninety-thousand-word book—as well as the difference between writing a book and publishing a book. On the publishing side: I approached nearly fifty agents before I found two—in the same month, after nearly five years of sending queries—who were interested in representing my book. I chose the agent who had more experience selling narrative nonfiction. She circulated the proposal (and later, the full manuscript) for about a year, and was on the verge of giving up when the University of Nebraska Press tentatively offered me a contract. The contract, contingent on a significant revision, included no advance. Because of the peer review process (common at university presses), a year elapsed between my agent sending UNP the proposal and the press sending me a contract. Q: What aspect of book promotion surprised you the most? A: As naïve as it sounds, the sheer quantity of work shocked me. I began working on promotion part-time six months before my publication date, and full-time about three months in advance, and that was not soon enough. Other than my hometown Elliott Bay Book Company, the first six bookstores I approached turned me down. Even those “No, thanks…” replies came only after many, many hours of figuring out whom to contact, crafting personal query letters, sending review copies, seeking a local co-sponsor, answering detailed questions, or trying (over and over) to get the right person on the phone. Q: What advice do you have to offer new authors? Make sure to let everyone you have ever met, and have an e-mail address for, know about your new book. I found that I couldn’t predict with any accuracy which friends and colleagues would be interested in No Word for Welcome and happy to lend a hand in its promotion. Devote as much time and money as you can possibly afford— but only what you can afford—to promotion. Set priorities, but try a variety of strategies. For example, I devoted $500 of my budget to submitting my book for awards. My publisher offered book copies for six award submissions. I wanted to submit to a dozen different awards, so I bought the book copies for the other six awards, and I paid all the submission fees. It seemed like a strange way to spend five hundred bucks, but it was worth it. I won two awards, bringing a bit of renewed media attention to No Word for Welcome nearly a year after its publication date. (One award came with a $1,000 check, so you might say I doubled my investment.) Even if I’d not won either award, the submission process put my book in front of movers and shakers in the literary world. To read Wendy’s complete Q&A, check out Everyday Book Marketing. And click here to visit Wendy online.